The Penslayer: "How Poorly You Have Sketched My Nature!" “You might call it that,” Rupert said. 1. Who are the main characters? Main characters, ah, gee… Of course you will have met Margaret Coventry. You haven’t? She’s my main character, a stiff, proper, if feisty young English lady of 1844. 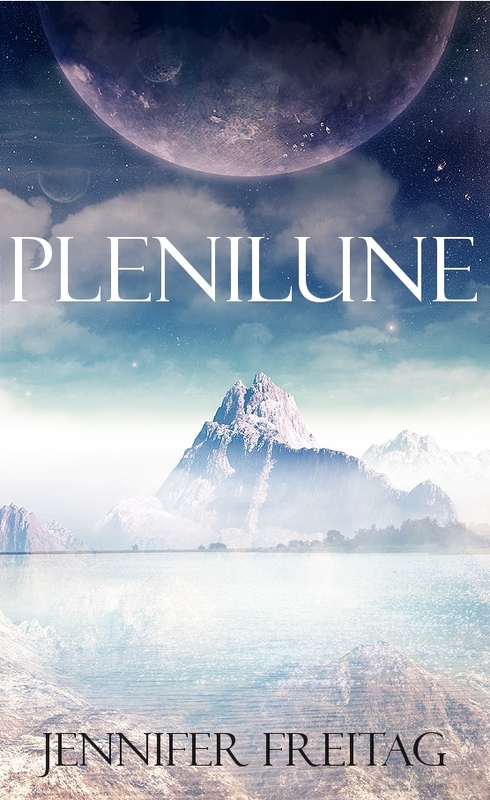 Other main characters include Rupert de la Mare, the suitor she does not want and cannot escape; Dammerung, a legendary war-lord who seems to have gone and got himself killed; Skander Rime, a cousin and neighbour; and a cheeky fox. I might add in old Hobden, but he wavers between the lines of first and secondary characters. 2. How did you get the idea for this story? Get. Get? This one forced its existence upon me and then left me to yank some kind of shape for it out of my mind. As I finished up Adamantine I realized Adamant Firethorne’s cousin needed a story too. I had practically wedged myself into a corner with the need to write the story, only I didn’t have one. I had to make it. As my stories usually come to me in their own spates of inspiration, I’m rather proud at what my genius managed to create on the spur of an hour-long moment. And, too, I had always wanted to write this kind of story but up until that moment I had not found the proper plot in which to put my place. Now I have. 3. What genre is this story? This is most definitely fantasy. It would be nothing short of fantastic, quite literally, if such events could occur. Alas, these spirits live only in cloven pines—er, books. Margaret trying to get home and realizing she does not know what or where home is anymore. A duel between two men that becomes a chess game on a living scale. Desperate times call for desperate measures. Everything seemed impossibly long and far away, as though the House, like a dog in its sleep, stretched out in the night and was twice as big again as it ought to be. “I am heartily sorry to meet you, Miss Coventry.” The fox gave a little sniff and held out a paw, which Margaret came forward and took, feeling very surreal as she did so. Overhead was the bulk of earth, dark in its massiveness, the crest of it ablaze with blue light like some enormous frightened cat on All Hallows’ Eve stiffened and hackled in the heavens. And beyond earth’s arched figure, beyond the long rays of light that broke off its back, stair-stepped the stars of heaven: upward and deeper, so that to Margaret, who had not bothered before to look beyond the inner ring of earth, it was like looking into a pool, a deep pool, a high pool, that went on infinitely until the end of time where eternity hung its veil so that little people like herself might not look in and die. My biggest fear is probably that I won’t be able to capture my main characters to my satisfaction. They are so big and so bold and so important that I feel rather small in their shadows. Thus far. I like that caveat. Thus far. My favourite character thus far… No, I don’t like this caveat any more. It’s a jostle between the fox, Skander Rime, and—of all people—the secondary figure of Skander’s manservant. 11. What books have been written or have you read that are similar in style and flavour to your novel? I would like to meet someone who has read a book that hasn’t been written… I don’t read a lot of fantasy, and consequently my fantasies are rather straight-forward save that points here and there and usually their basic premises are impossible. 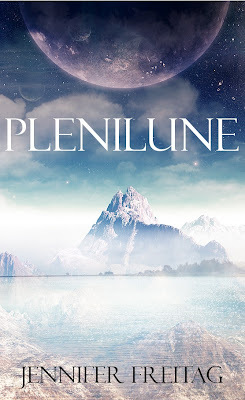 The only books I can think of which I have read that bear similarities in any way to Plenilune are Rosemary Sutcliff’s Knight’s Fee and E. R. Eddison’s The Worm Ouroboros; but even those don’t help much, as they were only the critical mass which helped me launch into writing Plenilune. Hmph. Inspiration. What a tricky business. 12. If it was destined to become a book on tape, who would you wish to read it? Oh, boy, this question has never occurred to me before. Possibly Elisabeth Sladen, but since she is dead now I may have to leave this question blank. It is my understanding that one, once tagged, must tag others. So I had better do that, hadn't I? Skander pulled on the front of his tunic. “A pretty trick,” he sniffed wryly. Wow, this story sounds amazing!! I look forward to reading it! I've created a new blog-http://theinkstainedparchment.blogspot.com. That cover design is gorgeousness! And I love the quote about the House - the more so because I know that dog. :P The Fox's brand of wit is worth its weight in chuckles and smirks; I think he and I shall get along splendidly. Your answer to question 4 makes me want to read this book as soon as I possibly can. Oh Anna, you make me laugh. And isn't the fox a charmer? He is difficult but fun to write. You two would get on, but have a care: he might make off with your heart or ooze surreptitiously into your lap and entrench himself there for good. The description you chose is poetry. It doesn't rhyme, but that's basically what it is, and it gives me warm shivery feelings inside. Also I am now very interested in Skander's manservant. "Every little thing she writes is magic...!" I have to finagle posts out of you somehow, Megan-girl. This seemed like a good means of doing so. I also seem to have a knack for inciting semi-sarcastic, partly-facetious comments in you. I wonder if that reflects badly on my character. What I don't know is which one... Fallows Dray. Yes, it can reflect badly on my character Fallows Dray. He won't notice. I had such a time coming up with a favourite piece of description. The piece I used was what I liked best of what I have recently written, and it was jostling everything else out of my mind so I thought I had best use it. I like that you think it is poetry - I have similar thoughts on it myself. As for Skander's man, while he doesn't appear to be a primary character, or even have a serious role in the plot, he is most certainly a character in his own right and I am enjoying writing him. I think you would like him. Oh my goodness; I've been wishing I would be tagged with this one! I'm honored, flattered, and delighted. Thank you so much! I really, really want to read your book. Very much. I can't wait!!! Oh, yes. This is all kinds of Wonderful. That bit of description you gave sent shivers through me. I believe I smiled within myself--or ached. I think I ached a bit too. ...that went on infinitely until the end of time where eternity hung its veil so that little people like herself might not look in and die. You have a way of putting Things. You just do.